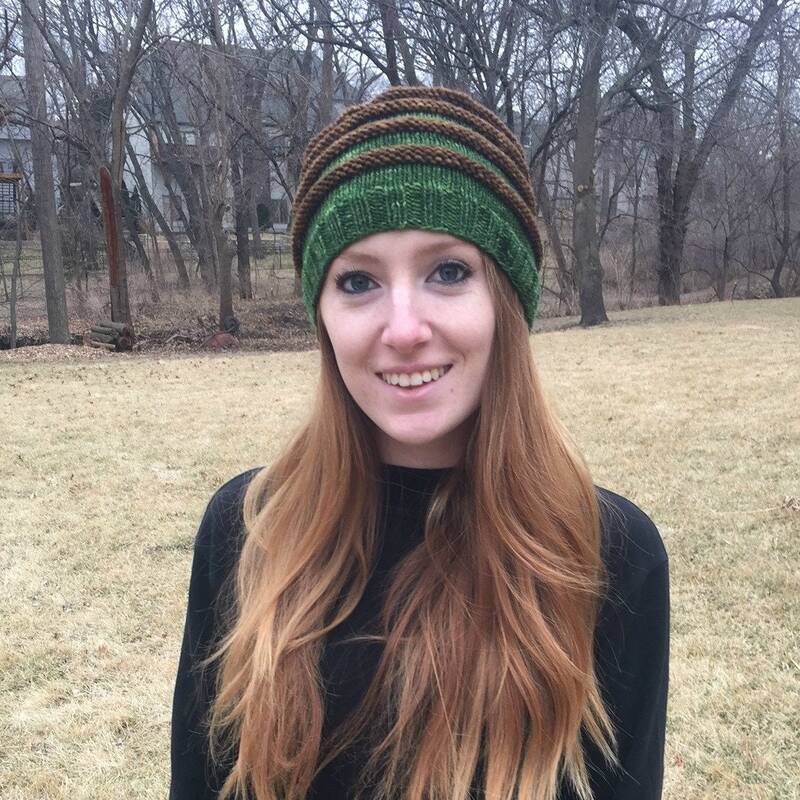 Sail the Seas Slouch Hat Knitting Pattern by Christine Long Derks, the TreasureGoddess! 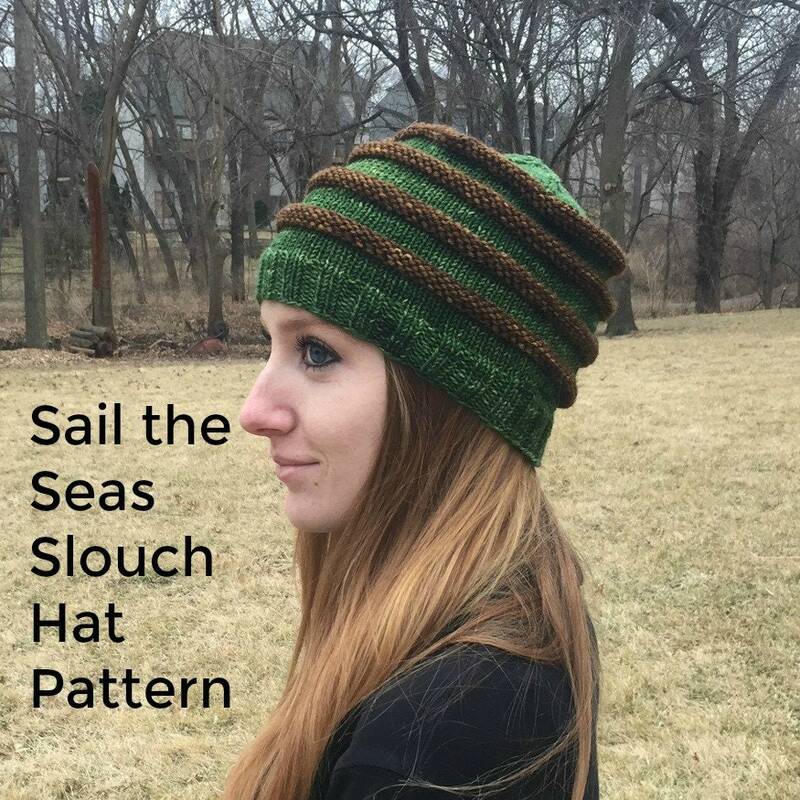 Sail the Seas Slouch Hat is knit with two partial skeins of DK yarn. Recommended yarn is TreasureGoddess DK Treasures, a 100% superwash merino wool yarn with fantastic squoosh & warmth. 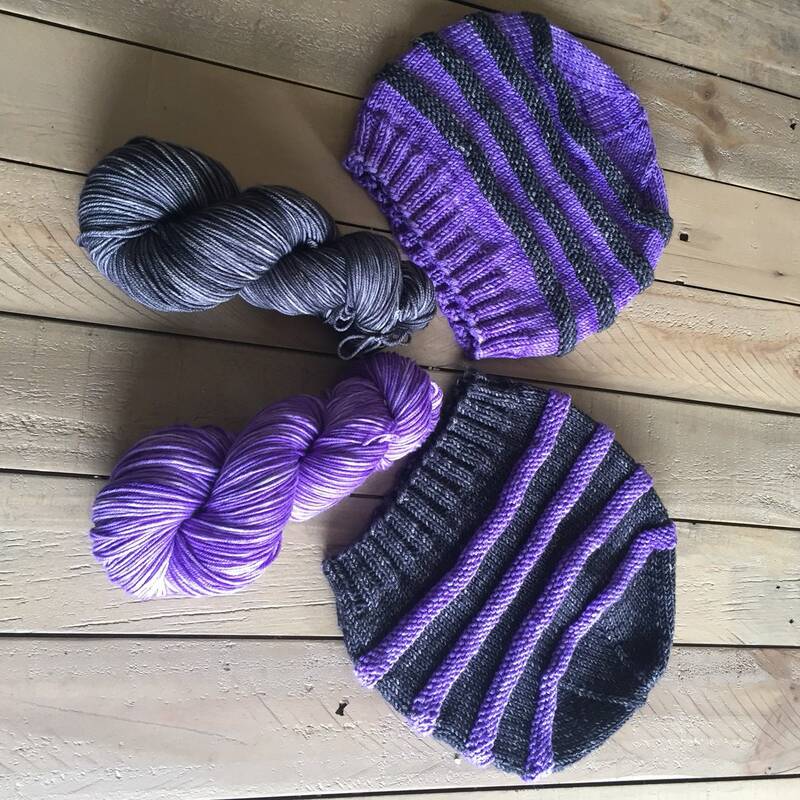 Two skeins has enough yarn to make two hats of alternating colorways! Pattern is knit with simple stitches, knit, knit 2 together, and purl. 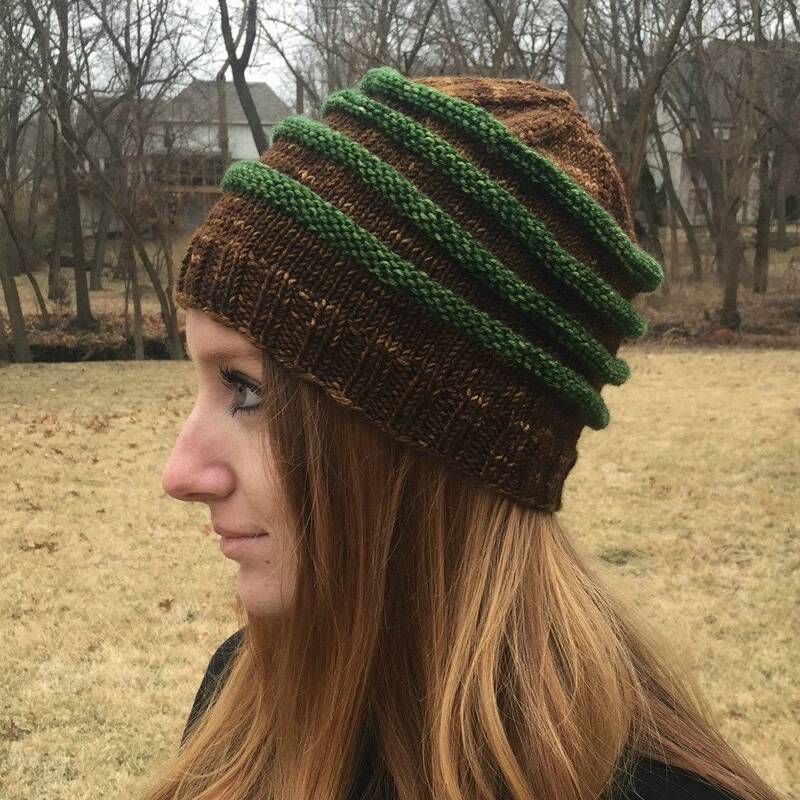 Hat is knit in the round from the ribbed brim up to the top. 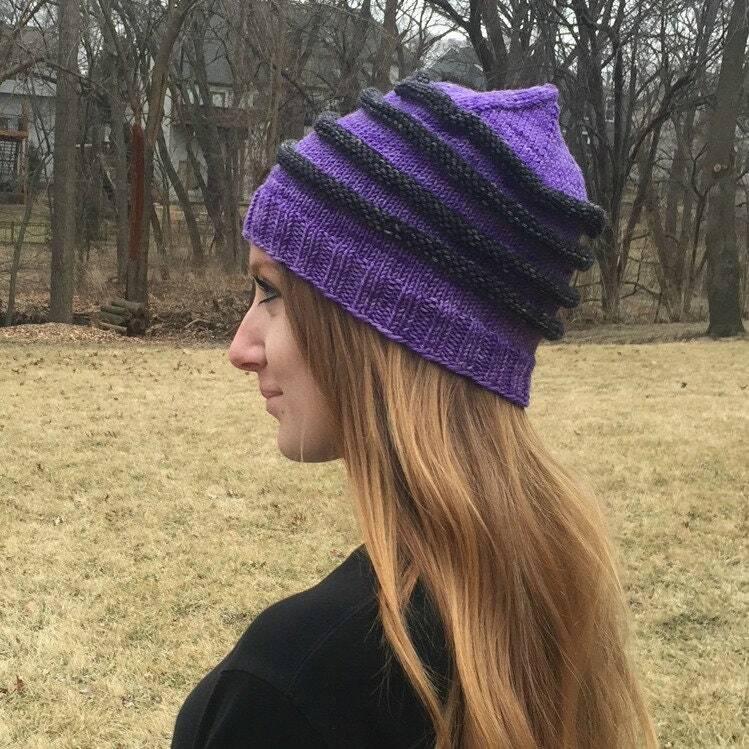 This is a super fast and super fun knit! It's hard to stop at just one or two! 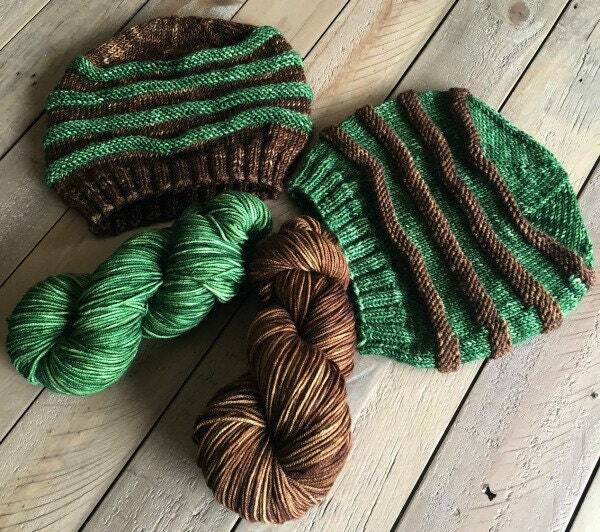 Colorways in photographs are Everglades Excursion (green) with Walk the Plank (brown) and Avast, ye Wildcats! 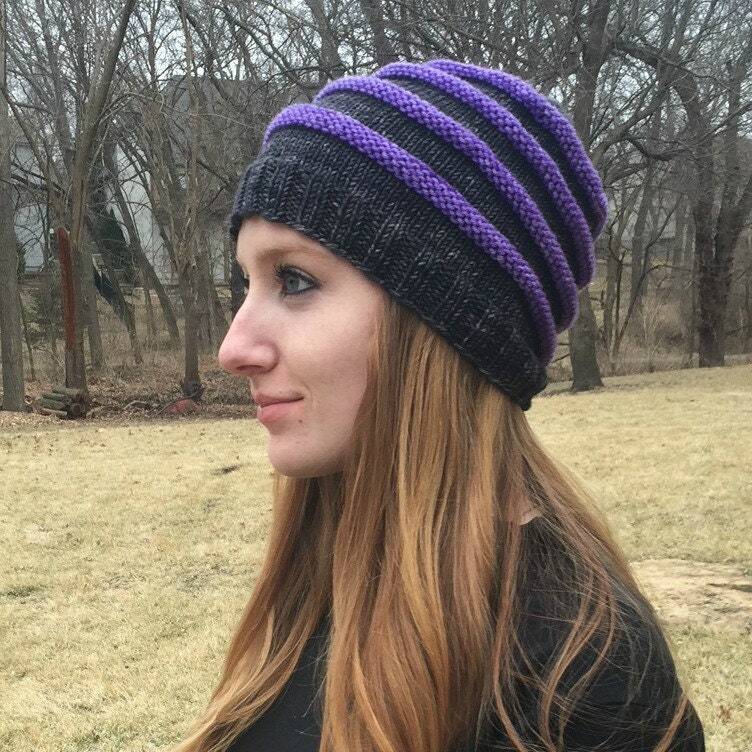 (purple) with Gunpowder (black). Needle size: US 6 (4 metric) and US 4 (4 metric) each in 16" circular needle length and one set of 4 double point needles in US 6 (4 metric).